Whoever said "there's no such thing as a free lunch" is an idiot. It should be, "there's no such thing as a free lunch, because it costs 49 cents." 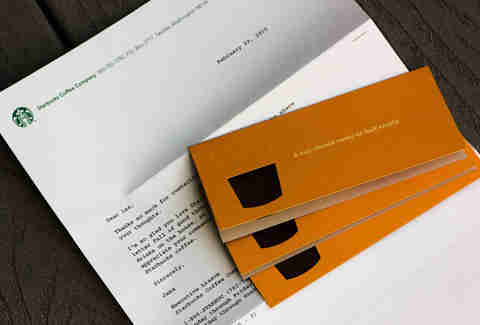 I learned that after I mailed a ton of companies physical letters of praise, and got plenty of free lunches in return. And all it took was a Forever stamp, a minute or two to write the letter, and an envelope. Read on to see all the free stuff I got, and which companies are worth getting the ol' pen and paper out for. When I was a teenager, I loved Isiah Thomas. Before he was an awful basketball executive, he was a great basketball player, and I was a huge fan. I wrote him a letter asking for his autograph, and a few months later I got a "signed" glossy photo of Isiah doing a lay-up or whatever. I was stoked and probably cried. And even back then, getting something in the mail was super fun. It's still fun! I get snacks in the mail every other week and I love it. I wrote personalized letters to 26 different companies about why I genuinely liked their products on the off-chance a real person was going to read it. None of the letters identified me as a food & drink writer. These are the 15 companies that responded. 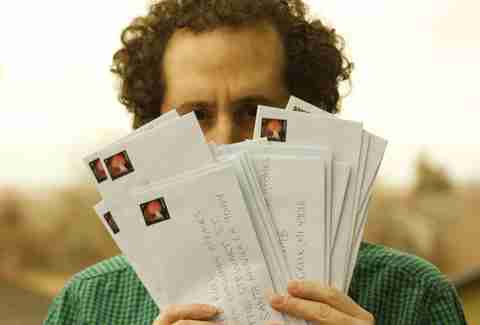 It's worth reiterating -- if you're going to do this, you can't send companies form letters. Real people are going to read them! And then those real people are going to send you awesome free stuff, as you're about to see. Was it worth the time to write them a letter? Hell yes. $10 can buy a nice lunch at JJ's, and I almost love the fact that they couldn't bother to write me back. 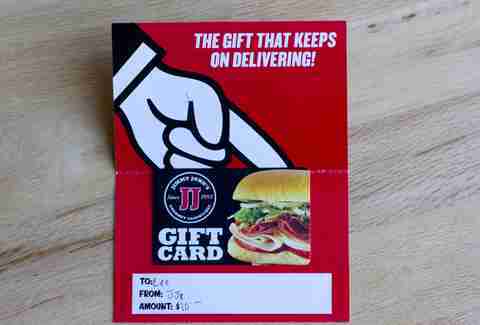 Jimmy John's is your Grandpa who put $20 in an envelope and sent it to you for your birthday. He could've written a note, but Matlock was probably on and he wanted to watch. Was it worth the time to write them a letter? I'm a huge fan of Oreo. The funny thing is, the company often sends free limited-edition Oreos right to my doorstep for me to taste-test, and yet, getting a coupon for a free box was somehow more exciting. Probably because it was unexpected. Was it worth the time to write them a letter? 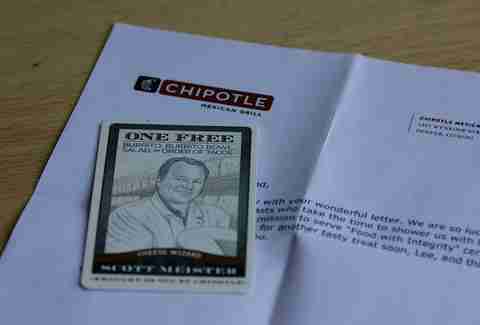 C'mon, this is free Chipotle we're talking about. Obviously it's worth it. I can get a bowl with extra guac, rice, meat, and cheese and it'll be hella free. I also love that someone physically wrote my name on an envelope! For a second, I thought of Chipotle as a mom-and-pop burrito shop and not a multibillion-dollar company. Was it worth the time to write them a letter? 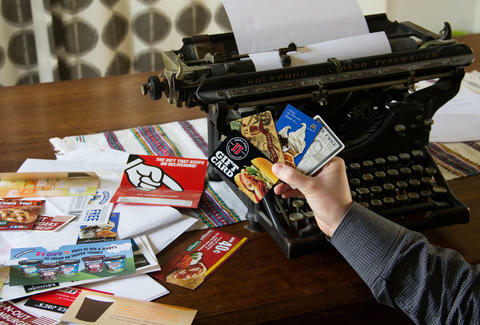 If you're an extreme couponer, you should definitely write them. Do it, Grandma! What I got in the mail: A letter and... stickers?! Was it worth the time to write them a letter? No. Unless you are a 10-year-old who wants to decorate his locker at school. Coke must have assumed that was who was writing them. Not a horrible assumption! 1) "We appreciate your compliments..."
2) "You have made our day..."
3) "It was very thoughtful of you to take the time to contact us about your experiences at our restaurants..."
Was it worth the time to write them a letter? This would have been worth the time to fly back to Philadelphia, knock on the company's door, and get handed everything they sent me. No, seriously, look at the care package below. 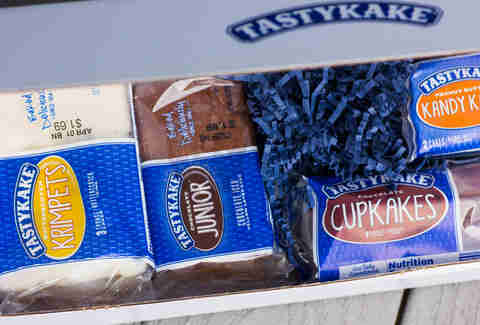 It has nine different Tastykakes in there. If you grew up on the East Coast like I did, you know how awesome their stuff is. 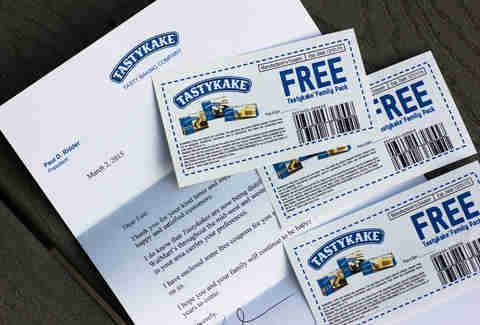 And when I wrote to Tastykake to tell them how much I missed it, they sent me a ton of free products and their president wrote to tell me I should check out a Walmart/grocery store near me, since it's distributed in the Midwest and West now. I am not ashamed to say that I sent a photo of this to a bunch of my friends who moved away from the East Coast just to make them jealous. Was it worth the time to write them a letter? 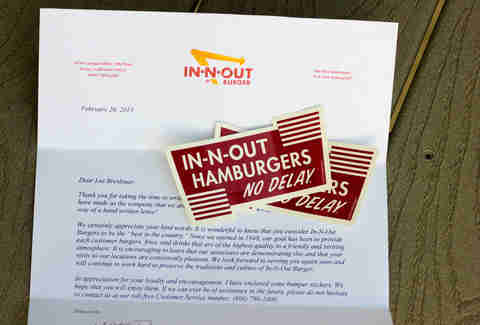 I don't know what I was expecting In-N-Out to send me (a coupon for a free burger? ), but stickers were not one of them. If I were a bumper-sticker type of person, these would be on my car. But overall, probably not worth the letter. Was it worth the time to write them a letter? Coke sent stickers, Pepsi sent... nothing. I'm surprised that even though soda has a fairly low price point, the soda manufacturers didn't send out a coupon. Made me appreciate Nabisco and Tastykake's coupons even more. Not worth it, obviously. Was it worth the time to write them a letter? Starbucks knocked it out of the park with this one. 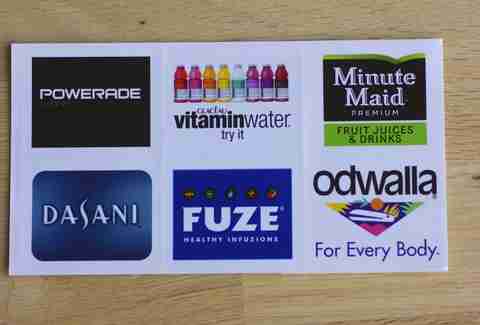 Like the Chipotle coupon, you have the freedom to use the coupon on any drink you choose, regardless of price. And I got three of them! To me, this is like getting $20 worth of delicious Frappuccinos in the mail. Starbucks? More like Freebucks. Was it worth the time to write them a letter? I'm lovin' it. They sent me two coupons for a pie, cone, or dessert. I don't know if they sent those coupons on purpose because I wrote them about my love for McDonald's off-menu Coke floats, or if that's simply what they give away to people who write them. Either way, writing them was easier than winning free food from their Monopoly game. Was it worth the time to write them a letter? Did not expect to get a gift card from Trader Joe's. This is a company that doesn't do coupons or advertising, after all. 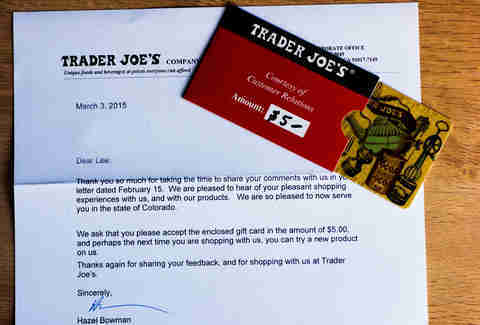 $5 goes a long way at TJ's, so this is absolutely worth the letter. Was it worth the time to write them a letter? The stamp cost $.49 and the coupons are worth a grand total of $.80. I eked out a $.31 profit here. 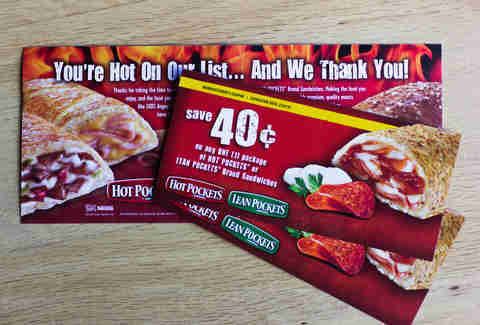 My time is worth more than $.31, Hot Pockets! Was it worth the time to write them a letter? I buy a lot of Ben & Jerry's pints, but it's going to take more than a $1 off two pints to get me jumping for joy -- which is difficult to do after you've eaten two pints of Phish Food. Look at how smug I look in that photo! That's because I basically got something for nothing. While stuffing envelopes and sending letters to companies was annoying, it was worth the effort. It was exceedingly pleasant to walk to the mailbox every day and not know what fun stuff was going to be in there. And that doesn't even include the day I got Tastykakes at my doorstep, which warmed my cold Philadelphian heart, frozen from years of watching the Eagles fail to win a Super Bowl. I'm writing this at about lunchtime. Probably will go to Chipotle. Why not, right? Lunch is on them. 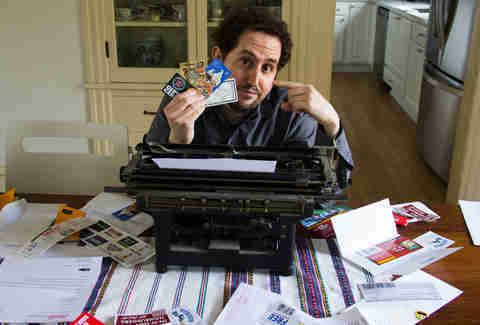 Lee Breslouer is a senior editor at Thrillist, and is going to frame that letter from Tastykake's president. Follow him to free tweets: @LeeBreslouer.